Shirley Mae Kramer, a devoted wife, mother, grandmother, and great grandmother passed away peacefully at her home on Wednesday, February 22, 2017. Shirley was born in Ventura, CA and moved to Santa Barbara as a young girl. She was the youngest of three daughters born to George W. Betts and Violet M. Merrikin. Shirley attended Harding Elementary, La Cumbre Junior High, and Santa Barbara High School where she was a Varsity Cheerleader. In 1952, she married her high school sweetheart Robert W. Kramer. Together they raised three children: Doug, Cathy, and Don. 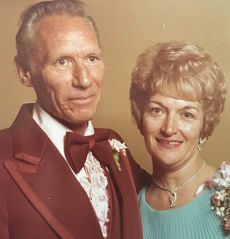 Bob and Shirley were married for 35 years until the passing of Bob in April of 1987. Bob and Shirley were an amazing couple truly devoted and loving to each other throughout their marriage. Shirley loved children! She was a beloved and dedicated instructional aide and playground supervisor at La Patera Elementary School in the Goleta Union School District for over 40 years. Shirley worked at La Patera until the age of 80! One of Shirley’s favorite things to look forward to each year was the family trip to Lake Tahoe, CA and staying at the Lazy S Lodge. She always cried when she left Tahoe each year. Shirley is survived by her loving sister and friend, Joyce Mooberry who was always there to support her and share a laugh throughout her life. Her children: Doug Kramer of Oceanside, CA; Cathy Stansbury of Bakersfield, CA; and Don Kramer of Santa Barbara. Her six grandchildren: Kyle Kramer, Holly Kramer, Stacy Stansbury, Stephanie Stansbury, Grant Kramer, and Christine Kramer. Shirley also had one great granddaughter, Jayden Wilson Kramer. A private family celebration of her life and memorial is being planned. In lieu of flowers donations can be made to the Visiting Nurse and Hospice Care of Santa Barbara.